• Forums and Topics: You can post and retrieve messages from the available forums, which will evolve over time. Each forum contains one or more topics. Click on a forum name to display the available topics in the “Topics” scrolling list to the right. If a title is indented, it’s a reply to the previous topic. • Topic Information: When you click on a topic, information about it displays in the lower part of the Collaboratory dialog box. You’ll see the name of the file, the format of the file, the date it was posted, its location on the Collaboratory server, the title given to it by its author, and the author’s name. • Buttons: The “Get,” “Send,” and “Reply” buttons are used to retrieve, post, and reply to files on the Collaboratory, respectively. You can post and retrieve a worksheet, another type of file, or a text message. Use the “Refresh” button to redisplay the list of topics and forums. The “Close” button closes the Collaboratory dialog box. 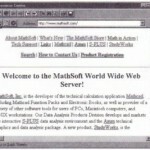 Note: MathSoft maintains the Collaboratory server as a free service, open to all in the Mathcad community. Be sure to read the Collaboratory Agreement posted in the top level of the Collaboratory for important legal information and disclaimers. 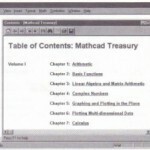 Although the Collaboratory is monitored by MathSoft, it is not designed for product technical support. 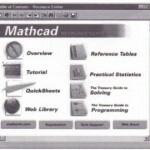 If you need technical support, see the contact information that accompanied your Mathcad installation media. • Click on the appropriate forum from the list of forums in the upper left comer of the dialog box. • Once you’ve selected a forum, click on one of the topics shown in the scrolling list at the upper right comer of the dialog box. • You’ll see some additional information on that topic in the lower half of the dialog box. Examine this information to see if you want to go ahead and open the topic. • Click the “Get” button . • M Depending on the type of file, one of three things will happen. 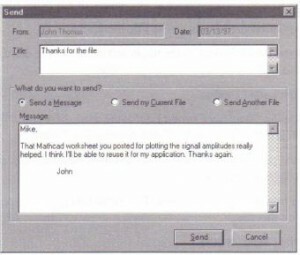 If the file is text, you’ 11 see the text in a message box as shown below. Use the “Reply” button to reply to the message. 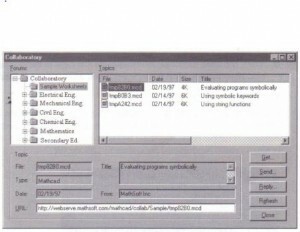 If the file is a worksheet it will open in its own worksheet window. If the file is binary, you’ll be prompted for a place to save the file. • Check the list of forums in the upper left comer of the dialog box. Click on the forum to which you want to send your file. • Click the “Send” button. • Click on the “Send my Current File” if the worksheet you’d like to post is currently open. If it isn’t, click on the “Send Another File” button. • Enter a title in the Title text box. 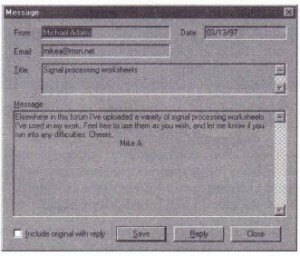 This is the text that will appear whenever anyone clicks on this file. You’ll see your file appear in the Topics window on the upper right comer of the dialog box. 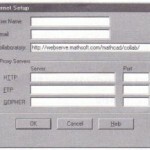 The “From” text box will contain your “User Name” as it is specified in the Internet Setup dialog box. Choose Internet Setup from the File menu to change the user name as described in the section “Internet access in Mathcad” on page 32. • Click the “Send” button, You’ll see your message appear in the Topics window on the upper right comer of the dialog box.